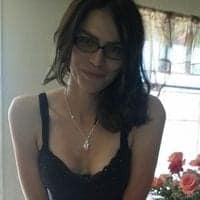 Police are continuing to investigate the mysterious death of a transgender activist whose body was found Thursday morning in a parking lot behind a Dairy Queen in Anaheim, California. The death of Zoraida “Ale” Reyes is being investigated as suspicious, although authorities said there were no immediate signs of foul play. An autopsy has been completed, but no cause of death was given pending further investigation, the Orange County Sheriff’s Department said. A toxicology report is pending, said Lt. Bob Dunn, spokesman for the Anaheim Police Department, and could take weeks to be completed. Investigators hope it will help them identify a cause of death. Friends and family gathered for a vigil on Friday to honor the 28-year-old. The paper added that many at the vigil said they were concerned that Reyes was the victim of violence because she was transgender. A fund for Reyes’ burial costs has been established by her friends.